If you have already downloaded and installed Skype and created your Skype login, then the first time you log in to your account you will be asked to customize your account. All the steps in customizing your account can be skipped and done later but by doing it you will make it easier for the people to find you and contact you on Skype. 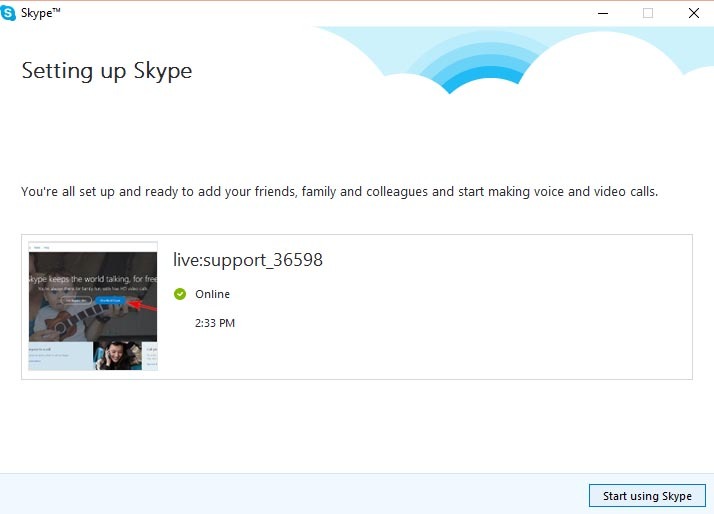 This first time you open your Skype account the first screen that will come up will allow you to check to make sure that your computer is working with Skype. On this screen, you will be able to test the 3 features. Speakers. By clicking on the “Test Sound” button you can see if the speakers on your computer are working correctly. If you click on that button but don’t hear any noise the first thing you should do is test the volume on your computer. If that does not work, click on the drop down directly above the “Test Sound” button. This may provide you with multiple options, which signifies that your computer has multiple sound options. Just systematically select each one, one-by-one, and click “Test Sound” again on each one until you hear sound coming from your computer. Microphone. To check if your computer microphone is working just speak while this screen is open. If everything is working correctly,the bar under the Microphone area will fill up partially in green whenever you speak. This means that your microphone is working. If it does not work, click on the drop down directly above the gray bar and select a different option from the list. Do so one-by-one and speak after each change until you see the green bar move. Video. In that area, you should see an image of yourself sitting in front of your computer. If you do, then that means your camera is working. If not, select the drop down above the black box and make your way through the options until you see yourself. 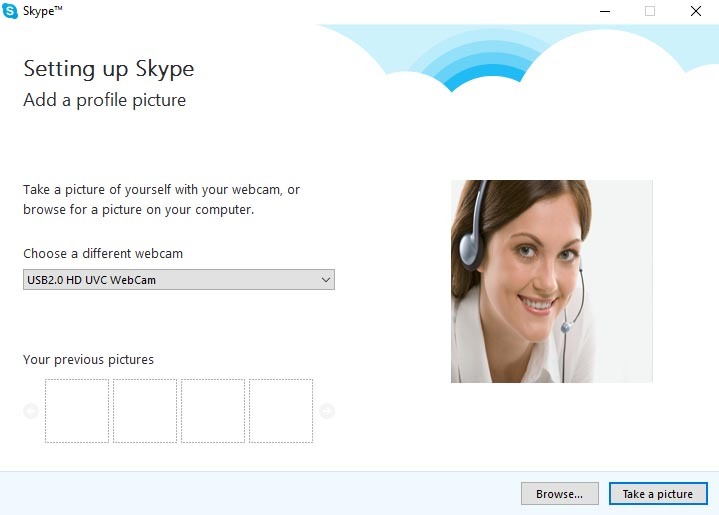 For the next step you will add a photo to your Skype profile. This step is option, and can be done later. If you don’t want to do this right away just click on the “Add Later” button (skip to Step 4). If you want to do so now click on the “Continue” button. If you chose to add a profile image now you will be taken to the screen below. Here you have two options. You can upload a photo from your computer by clicking on the “Browse” button and selecting the photo, or you can use the camera on your computer and take a photo of yourself in that moment using the “Take a picture” button. The final step is simply for you to confirm al the information. 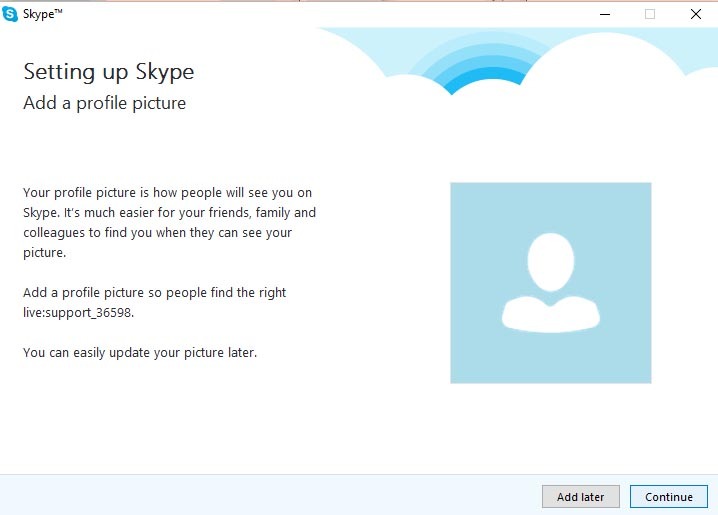 The screen below will appear and show you your photo and Skype userame. With that you are all set. Congratulations! You have set up your Skype account and are ready to go. 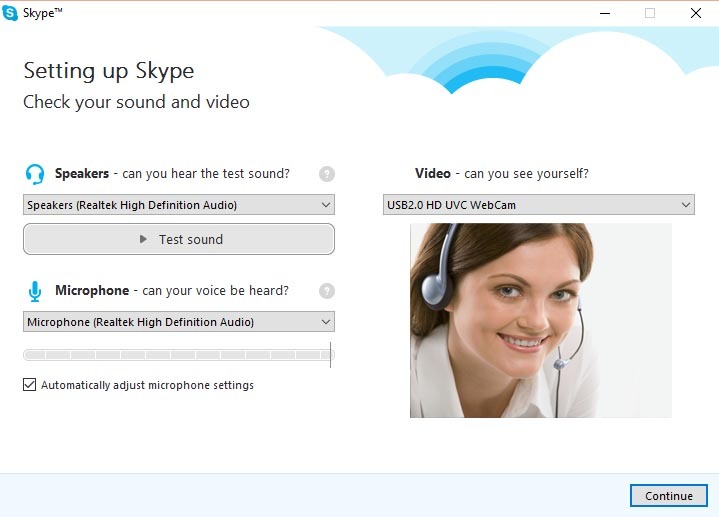 If at any time you would like to edit this information or add additional information such as the country you are into your account (which is very useful for your Live Lingua teachers who look for you) you can do so by clicking on menu at the top of the Skype window and selecting “Skype -> My Account” from the dropdown. This will take you to a webpage where you can add and modify all your profile information. If you already have your Live Lingua trial class setup and want to add the contact information of your teacher we can walk you through how to do it step by step in our tutorial on “How To Add Contacts To Skype“. Super-charge your language learning... for free. What is the best way for you to learn a language	based on your personality and learning style?